Though Indiana State University student Dylan Gentilcore was used to performing on stage, the theater major couldn't help but be impressed when he witnessed cultural dances and activities performed by his fellow students from countries spanning the globe. Students, student groups and representatives from Terre Haute organizations gathered to learn and also teach about global cultures during the recent Heritage Day Fair at Indiana State. Organizations representing international students gave information about the students' native countries, while several provided foods commonly consumed in other parts of the world. Several Terre Haute organizations representing different religions also participated in the fair, which included dances and musical performances from a variety of cultures. "It's also always interesting to see how many international students and students of different heritages come together," said Gentilcore, a sophomore from Modoc, Ind. "I think it's just a great way to see your peers embrace their heritage." Representatives from religious groups such as the United Hebrew Congregation and the Islamic Center of Terre Haute, informed people about their organization and answered questions about their respective religions. "We're happy to be here and present our heritage, which is our religious heritage," said Emhemed Hamed, an ISU graduate student from Libya who represented both the Islamic Center of Terre Haute and the Muslim Students Association (MSA) at ISU. He highlighted that people who are Muslim live throughout the world. "It's diffusion. We're a culture not limited to one country." Betsy Frank, ISU professor emerita of nursing and a member of the United Hebrew Congregation's board of trustees, talked with people about Judaism and answered questions that fair attendees had about the congregation. "It's a way for people to get to know you, and I think some people forget that Terre Haute is as diverse as it is," Frank said of the heritage fair. "This is a way to promote diversity in Terre Haute." Indiana State students gave more than a half-dozen different dance performances from around the world. Students from Riverton Parke High School also got in the act, with Spanish Club members performing flamenco and salsa dances. "It's wonderful, because we know a little bit about every culture and every country," said Dilia Smith, the Riverton Parke Spanish teacher who took her students to the event. "We hear about them, but we really don't know in-depth what the culture is about, what is the food, what dances they have," added Smith, who graduated from ISU in 2007 with her bachelor's in Spanish literature and linguistics. "The only thing we know is they speak a different language." This year was the first time Indiana State hosted the fair, which was organized by the Office of International Programs and Services. The university conducted the event at midday in Hulman Memorial Student Union, with people consistently walking through the event during its two-hour duration. "I'm quite surprised that though this is the first time the fair happened, it was this great, that it turned out this well," said James Jones, student affairs and higher education master's student from New Jersey who organized the event. They are "expecting it even better now that we know what we have to change for next year and what we should remove or what we should add on." The students participating in the fair also had the opportunity to enjoy some of the different offerings. Doctoral student Daniela Báez, who represented the Hispanic Student Association, took advantage of the chance to talk with people from different cultures and try different foods. "We want to combine American students with international students, and we want to show diversity and how people learn about different countries and different cultures and different languages," said Báez, who is from Ecuador and will graduate with her Ph.D. in December. "So we want to do this more often." Photo: http://isuphoto.smugmug.com/Events/Heritage-Day/i-t8hSmnw/0/L/Heritage_Day-2906-L.jpg (ISU/Rachel Keyes)An attendee at the Heritage Day Fair at Indiana State University learns more from international students. 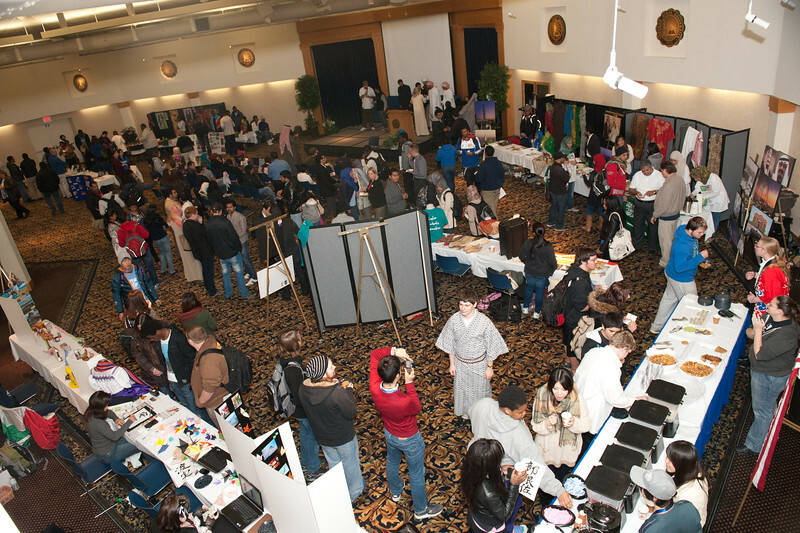 ISU hosted the event as a way for people to learn more about cultures and religions from around the world. Representatives from several Terre Haute organizations also participated in the event. Photo: http://isuphoto.smugmug.com/Events/Heritage-Day/i-bj2jCfp/0/L/Heritage_Day-2908-L.jpg (ISU/Rachel Keyes)Attendees at the Heritage Day Fair drink tea. People attending the fair had an opportunity to enjoy food and drinks from around the world while also speaking with international students at ISU about their heritage. 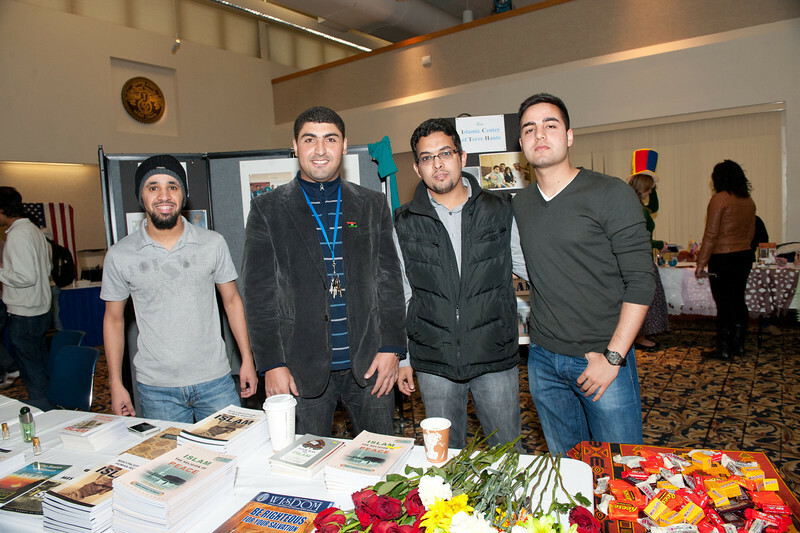 Photo: http://isuphoto.smugmug.com/Events/Heritage-Day/i-sXkxxrp/0/L/Heritage_Day-2911-L.jpg (ISU/Rachel Keyes)Indiana State University student Emhemed Hamed, second from left, poses with fellow members of the Islamic Center of Terre Haute and and the Muslim Students Association (MSA) at ISU. 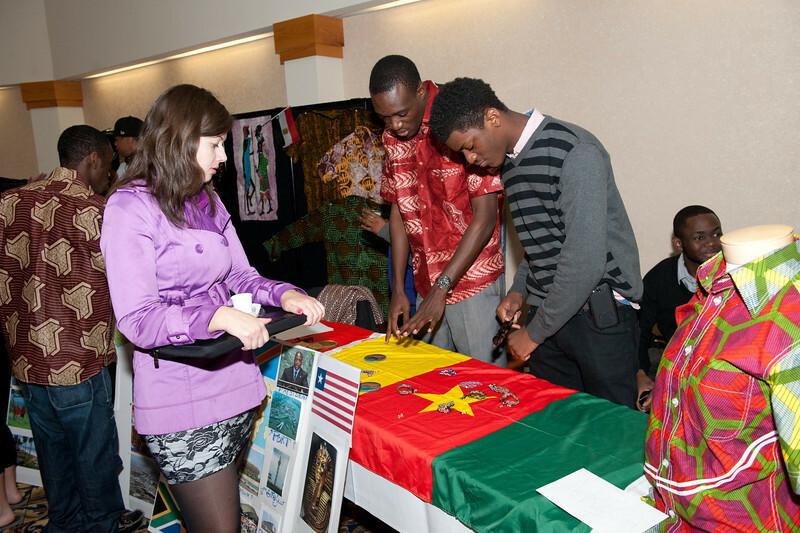 Students, student groups and representatives from Terre Haute organizations gathered to learn and also teach about global cultures during the recent Heritage Day Fair at Indiana State.